Kiehl’s is a skin care company that, perhaps due to its East Village roots, has always been one of the artier apothecaries. 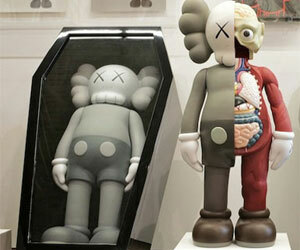 Among their contemporary collaborations: Andy Warhol astringent and lotions by Jeff Koons and KAWS. 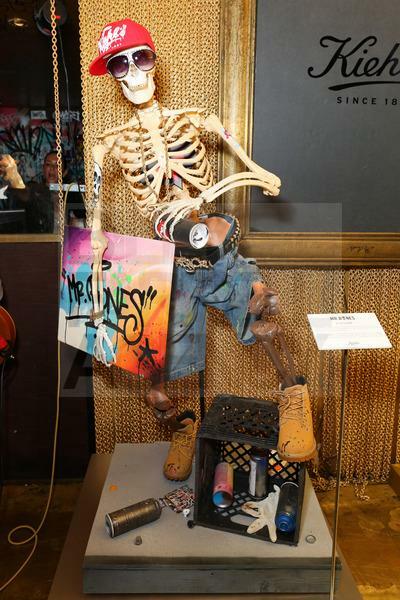 Now, in my serendipitous second skeletal feature of the week, here is Kiehl’s mascot, Mr. Bones, customized by more famous people for charity. 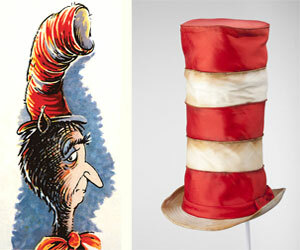 This (above) is the original Mr. Bones. 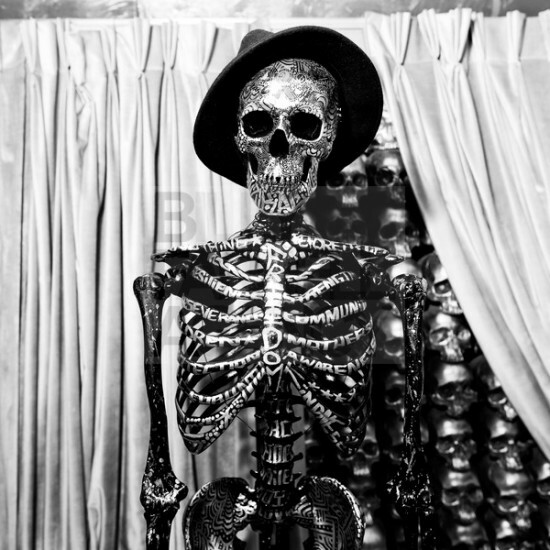 Before he became the Kiehl’s mascot, he was an actual human skeleton used by Keihl’s founding family member Aaron Morse (who took over the company in 1961) to educate patients on how Kiehl’s remedies could help them. 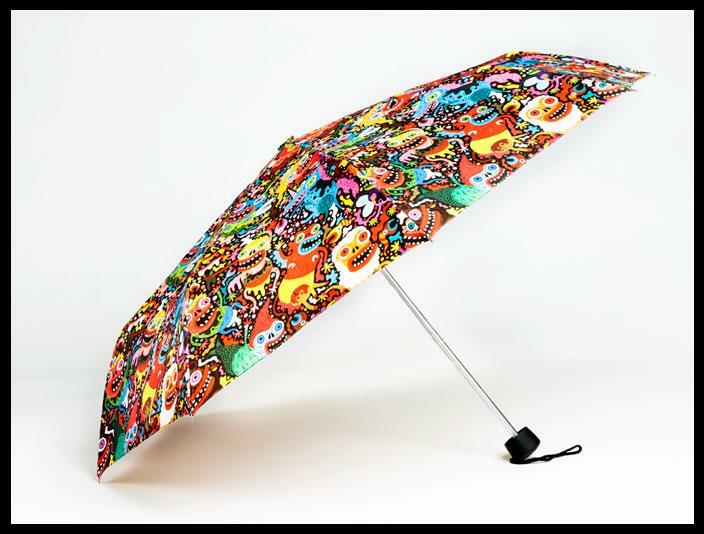 Thirteen copies of Mr. Bones got a makeover from a spectrum of celebrities including: Zach Galifianakis, Padma Lakshmi, Terry Richardson, Frank Kozik, Olek and Kenny Scharf. 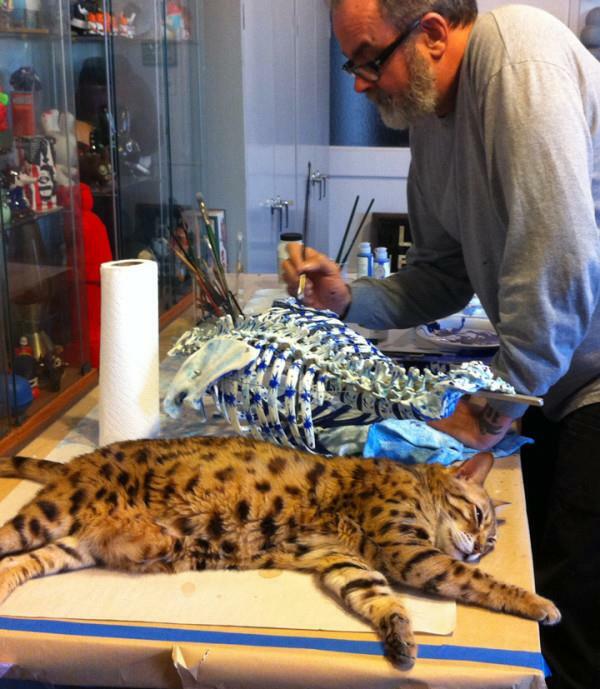 Edward Goralsky and Frank Kozik customizing a Kiehl’s Br. Bones mascot. Kozik’s Mr. Bones got the featured photo in the NY Daily News, from whence most of the following information comes. 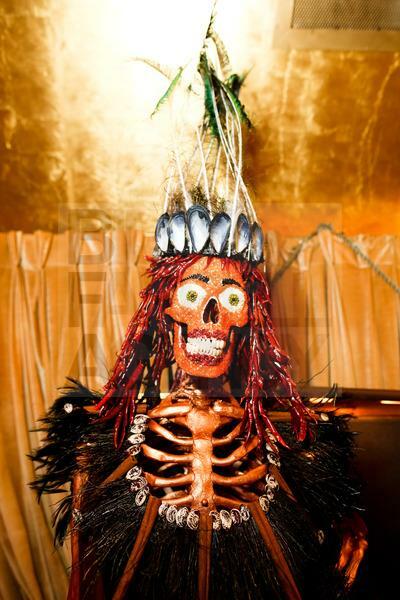 On that note, all of the photos of the Mr. Bones unveiling last night at NYC’s Goldbar are by Billy Farrell Agency. Except for the one above, which was taken by Sharon Kozik in Frank Kozik’s San Francisco studio and features a cat. 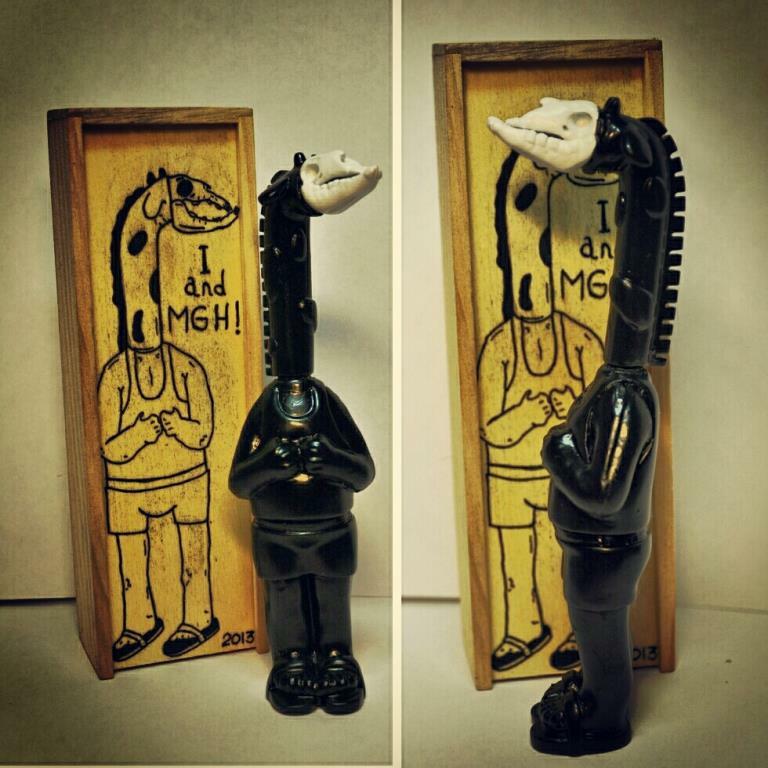 Kozik painted Mr. Bones in support of the Out of Site Youth Arts Center here in San Francisco. Each celebrity received a blank set of bones three months ago and got free reign over the design. 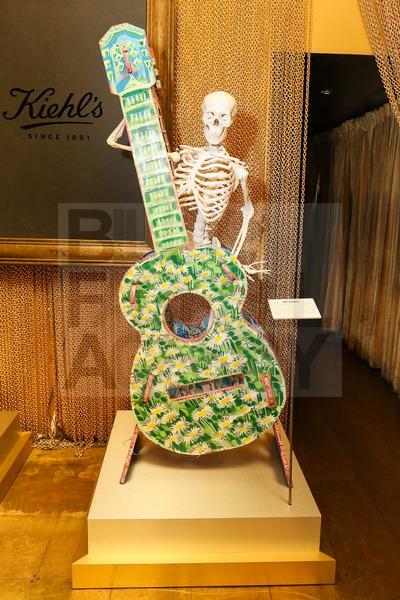 Fashion photographer Terry Richardson and Bronx-based muralists TATS Cru, customized the Kiehl’s skeletons by themselves. 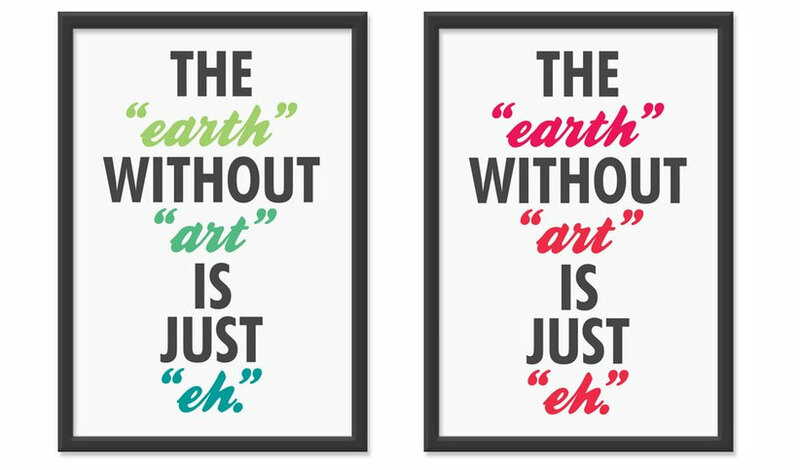 Singer Alicia Keys and chef David Chang partnered with artists to visualize their ideas. 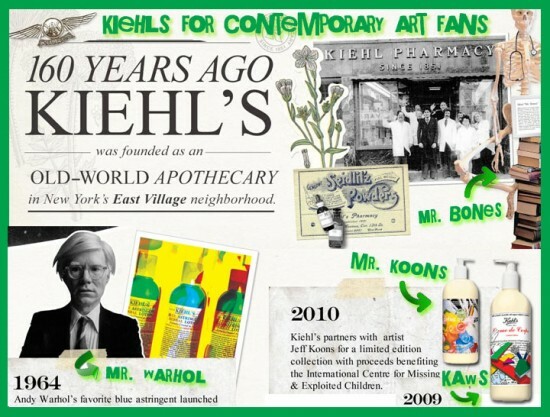 Under its charity arm, Kiehl’s Gives, the skin care brand will donate $200,000 to the causes chosen by the artists and celebrities. 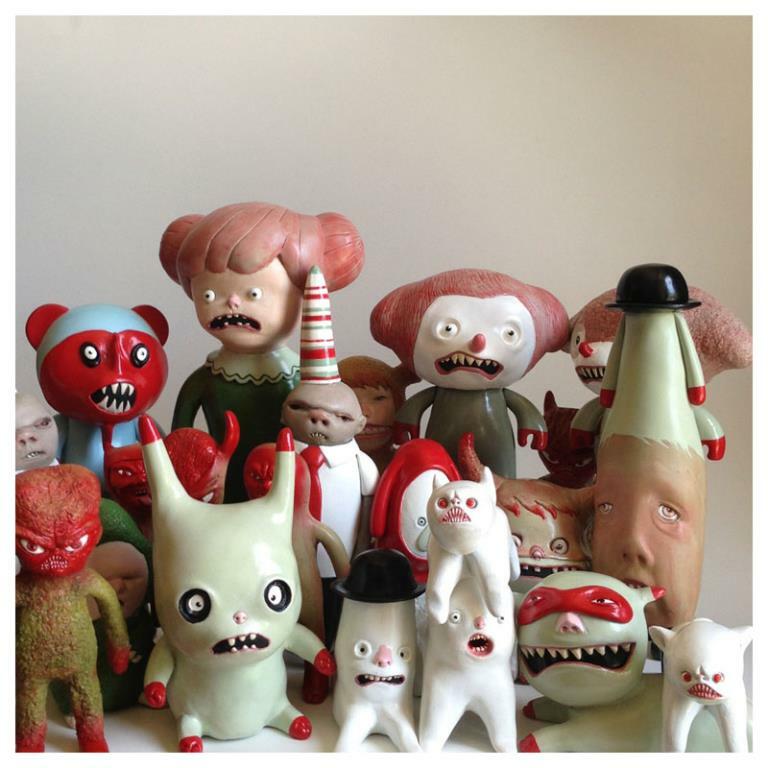 Here’s a few of them now. Zach Galifianakis used personal memorabilia to customize his skeleton. 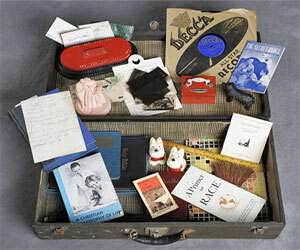 His Mr. Bones is covered in old stamps collected during the actor’s travels. His charity of choice, Growing Voices, is a nonprofit that creates sustainable garden businesses in northern Malawi. To highlight her culinary background, Lakshmi decorated her “Mrs. Bones” with food products — fashioning a crown out of empty mussel shells and stringing together dried chilies to make strands of hair. The skeleton’s olive-colored maxi dress is from Lakshmi’s own wardrobe. Lakshmi chose the Endometriosis Foundation of America as her charity. This was also a personally influenced decision: Lakshmi had suffered years of debilitating pain before she was diagnosed with the Endometriosis in her 30s. Keys chose Keep a Child Alive as her charity. 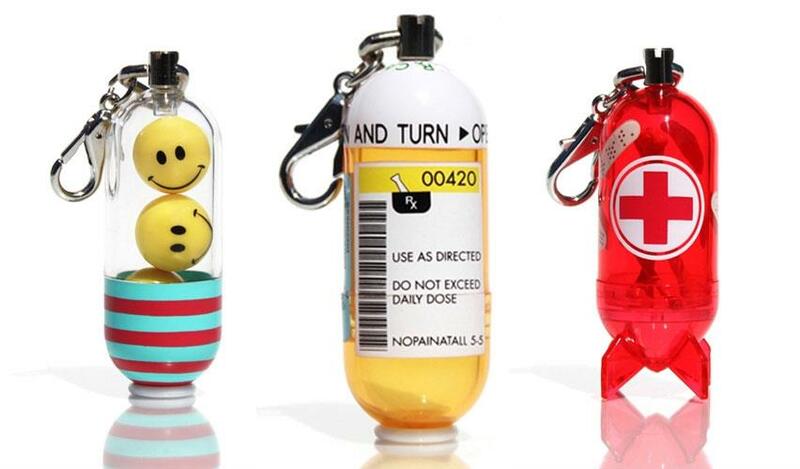 The organization provides medicine to low-income children and families in Africa and India who have AIDS. Says Keys: “It just seems so unfair that you wouldn’t be able to have the opportunity to live because you don’t have the money to afford to pay for it”. The skeletons will be on display to the public starting June 2nd. 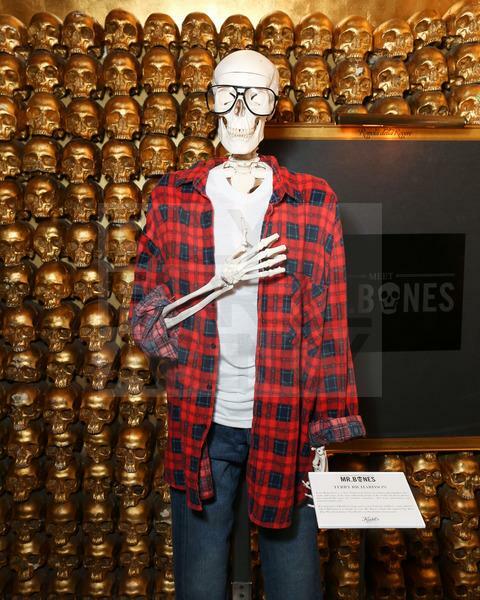 Customers can participate in a “Meet Mr. Bones social media campaign” and win prizes. 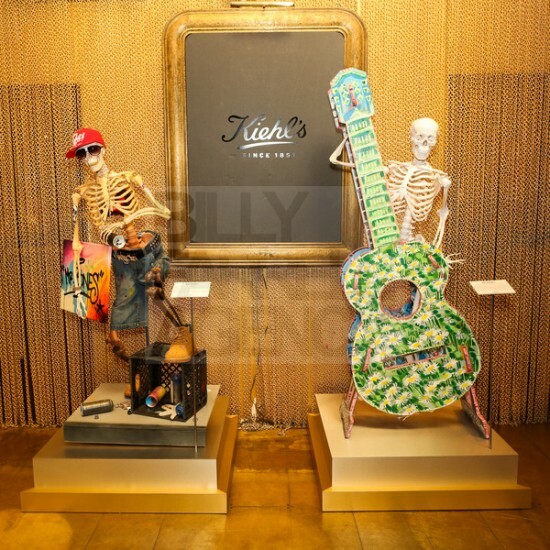 Similar to the designer snowmen in Toronto and the Fabergé eggs in London, Kiehl’s wants people to take pictures of themselves with the skeletons and post them to Twitter using hashtags. 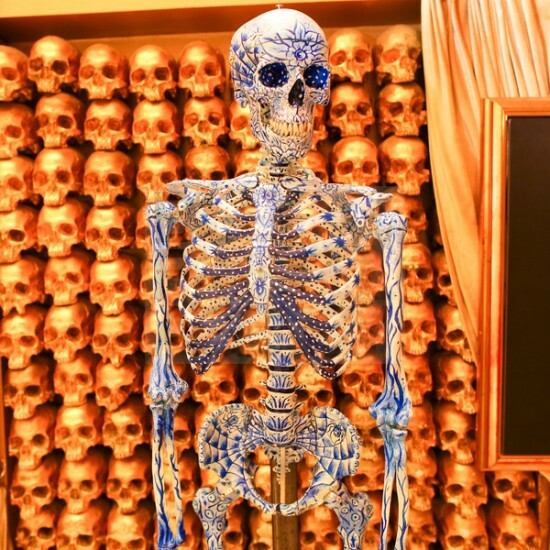 I’m not sure where all 13 Mr. Bones will be located (though it would be really cool if Kozik’s was in the Bay Area), but if you happen to share a city with one of the skeletons, tweet your photos of to @KiehlsNYC with hashtags #MrBones and #KiehlsGives. 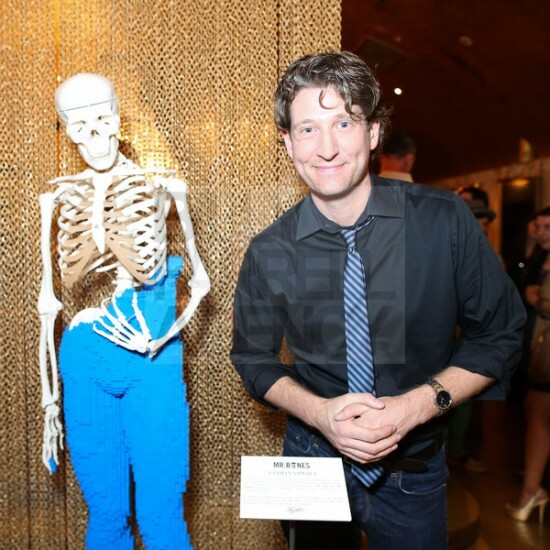 Beginning June 2, videos of each celebrity with their Mr. Bones will be up on Kiehl’s Facebook page. Kiehls points to their parent company, L’oreal, when asked for info about animal testing. Find your local Kiehl’s here. I love convergences, and so it was with pleasure that I woke up today to this compliment. I knew that I’d be able to throw him an even bigger bone by the end of the day. This one’s for you, Blonde John in Toledo! 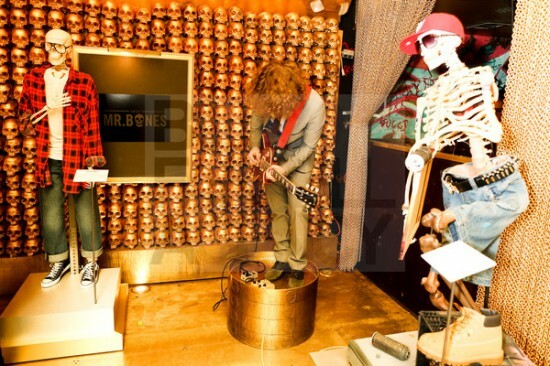 Thanks for reading, and click through for more customized Kiehl’s Mr. Bones skeletons.